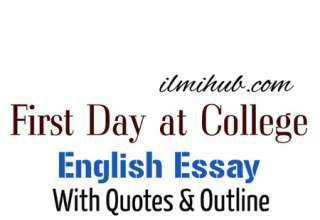 Essay on Drugs Abuse is here for the students of Class 10, Class 12, Graduation and especially for BSC. 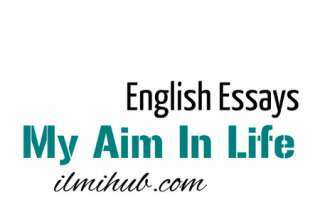 Previously this essay was in the exams of Punjab University 2008 Supple B.Sc. 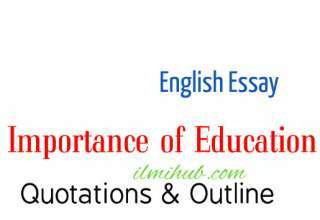 Students can write the same essay under the question, essay on drugs abuse, essay on drugs addiction, essay about drugs and essay about drugs abuse. You may also like Essay on Sports and Games. Drug addiction is on the increase in Pakistan. Young boys and girls of colleges and universities fall an easy victim to it. The reasons are quite obvious. The first reason is that the young people feel frustrated and tense in the modern world. They fail to solve their emotional and intellectual problems themselves. They are highly educated but they do not get a job according to their ability. In this world of tension and anxiety, they feel lonely and sad. They resort to drugs in order to mitigate their sorrows and sufferings. The second reason is that the uneducated people use drugs to relieve pain and sufferings. Drug addiction is not a new thing. It has been in practice for centuries. People used opium, Charas and Bhang in the past. These narcotics gave them temporary pleasure and transported them into a world where there was no sorrow or suffering. Now man has left these old narcotics and has become addicted to heroin. Heroin is the most sophisticated form of the drug. It is prepared from Opium. The major centres of illegal opium production are Turkey, Afghanistan and Pakistan. Heroin produced in these areas is marketed to European countries and America. It is a very costly drug. That is why it is smuggled to rich countries. It is the most addictive of drugs. A man may become addicted to it within a week. Its influence on our body, mind and soul is irresistible. If once this evil addiction grips us it may not leave us for years. There are many reasons for its prevalence in Pakistan. First, the smugglers of heroin are very influential. They are not caught and punished severely. Secondly, the recent Afghan Russian War has encouraged this. Thirdly, young people want to get rid of their depression and anxiety. They resort to the use of drugs which mitigate their sufferings temporarily. Moreover, there is a misconceived notion that narcotics increase physical power and energy. Moreover, the heroine is the only drug which is easily available. Some people use it to have a new experience but soon they are caught into its web. The use of drugs harms our body and mind. It affects lungs, heart and kidneys of the victim. It causes tuberculosis and cancer. It relieves depression for a short time and gives temporary pleasure. But as soon as the intoxication is over, it takes us to the world of reality and strain. In this way, it cripples our activity and makes us inactive. A drug addict cannot live without the drug. He can become a criminal, a robber or a thief. He must steal money to get the drug. Thus drug addiction produces an army of idlers and socially inactive people. In this way, it turns active and vigorous young people into active and passive idlers. The Government of Pakistan is trying its utmost to control its prevalence. It persuades the producers of heroin not to prepare it. at the same time, it uses coercive measures to curb its preparation. co-operation of other countries, like U.S.A, U.K, West Germany and Canada is sought to counter its spread. For more essays go here.